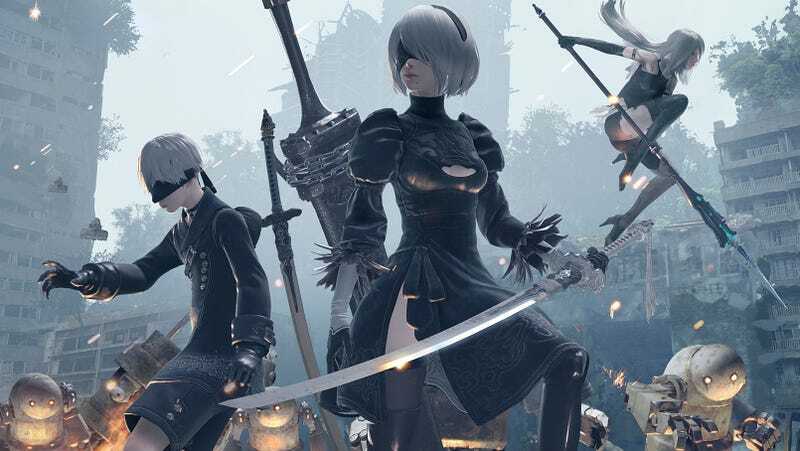 Nier: Automata, like much of game director Yoko Taro’s work, features numerous endings achieved through a combination of multiple playthroughs and random silliness. There are 26 endings in all, one for every letter of the alphabet. While most of them are random game over scenarios, the first five, A through E, are essential to uncovering the game’s full story. After that, the player has to decide whether or not to erase all of their game data. Without giving away too much to those who wandered in here unsure of their feelings about spoilers, let’s just say that endings C and D finish on a really low note. Things are grim, but as the credits roll hope shines through. The player is given a chance to initiate ending E and fix things, but to do so they must fight a prolonged battle against a deadly foe. 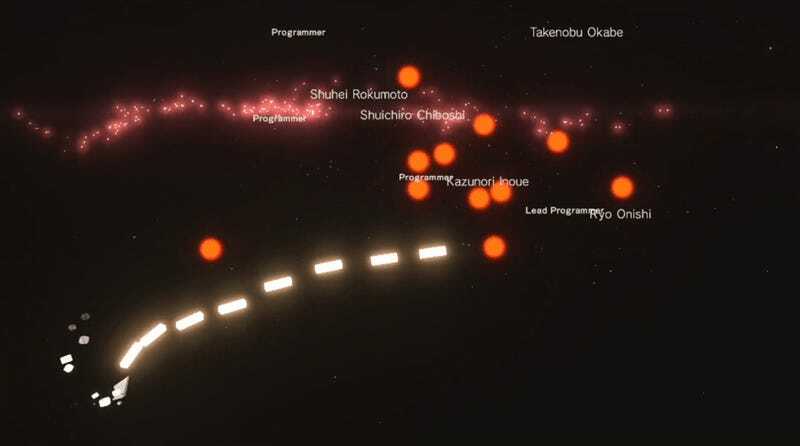 The final battle is a shoot-em-up of the game’s entire credit sequence, from cast to programming to marketing and localization teams. It’s a very lengthy battle, and it’s not easy at all. If you’re playing in easy mode, the assists are deactivated. You can take three hits, and you’re toast. Die enough during this sequence, and an offer of aid is made from someone who has already completed the game. 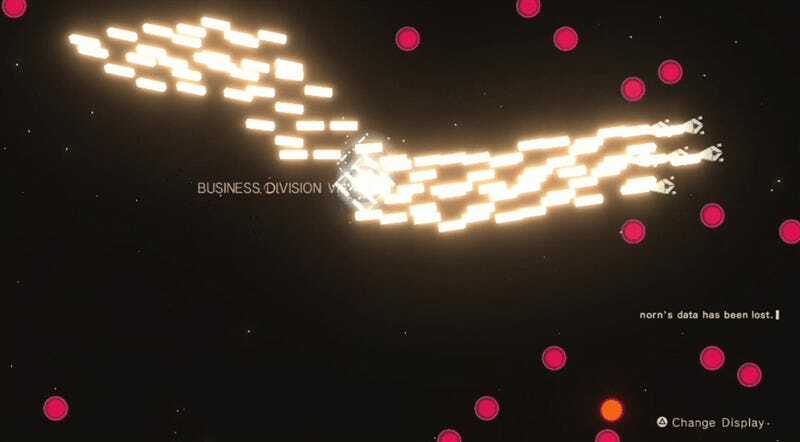 Should you accept, your ship is joined by a squadron of allies made up of other players’ data. The song playing during the sequence, sung by a single voice up until this point, becomes a chorus. Suddenly the battle is much easier. Where does this aid come from? Players of the original Nier know exactly where this is going. Once the sequence ends and the final cutscene plays (you can watch it here if you don’t mind spoiling it), the player is given a choice. Save your data and continue on as normal, or sacrifice it to save another player in need once they reach the final battle. This is not a joke. It is not some clever trick. Saying “yes” to this option (and the “are you sure?” prompts that follow) will wipe all of your save data. Equipment? Gone. Experience? Gone. Aside from the trophies unlocked, all record of you playing Nier: Automata is gone. The game makes a show of going through the menu system and removing everything, then it returns to the home screen with no option to continue. So now I am playing Nier: Automata all over again, which is fine. I missed a lot of side quests while playing it for review, and there’s still a special secret ending to uncover. I am proud to help out a fellow player, though only just this once.